I read this article and found it very interesting, thought it might be something for you. The article is called Endodontics and is located at https://www.dencaresmilecenter.com/endodontics/. 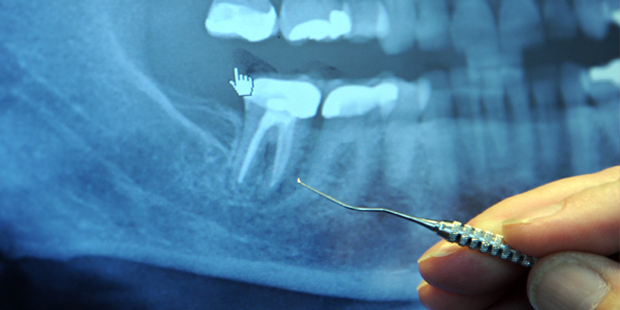 Endodontics is a sub-specialty of dentistry dedicated to studying the “pulp” or inside of the tooth. Underneath the enamel and dentine, which make up the rigid outside structures of a tooth, lays a mass of tissue referred to as the dental pulp Whenever you hear about someone undergoing root canal treatment or having a cracked tooth repaired that patient likely received care from a dentist trained in endodontics. The delicate dental pulp that lies inside every tooth is comprised of blood vessels, connective tissues, nerve endings, and a variety of other biological features. However, once a tooth has become fully developed, it can continue to survive without the pulp as it can draw nourishment directly from surrounding tissue. When the pulp of a tooth becomes infected, diseased or damaged it can be removed in a procedure commonly referred to as a root canal. A “Root Canal” can help relieve tooth pain, save your tooth and preserve your smile, all at the same time. During root canal treatment, the hard surface of the tooth is removed, and the infected pulp is extracted. Afterwards, the area is carefully cleaned, sanitized and then ultimately filled with a protective sealant. Next, a crown is placed over the area to provide structural integrity and long term protection. Cracked teeth are another area where endodontic treatment can really help to relieve tooth pain and repair the aesthetic appearance of a patient’s smile. The reason cracked teeth are the cause such severe tooth pain is because once the enamel and outer layers of your tooth have been breached, even normal movement caused by everyday activities such as chewing can begin to cause irritation to the pulp inside. There are a variety of different conditions a patient can develop; teeth can be cracked, they can be split, they can suffer from vertical root fractures, and more. Your Den-Care Smile Center dentist can help determine the exact problem, and recommend the best treatment options based on the specific damage your tooth has suffered. A cracked tooth can be treated in much the same way as a root canal. Your dentist will remove any affected area, gain access to the interior spaces of the affected tooth, clean out and sterilize the area holding the dental pulp, then apply a protective sealant before placing a crown or other type of dental restoration. After undergoing any endodontic procedure, you should experience a great deal of pain relief and feel a sense of relief knowing that you have done what was necessary to preserve the appearance and functionality of your tooth.